It would be wonderful to fill in the gaps. Who are the people? What Rugby League matches are being played and where? (Roberts Park, Murrumburrah?) What about the other sports the buildings and towns? So much to discover. Please leave some comments if you know. 10:38 Another Lawn Bowls comp. 21:30 Cricket – as SCG? This entry was posted in Demography, Communications & Media and tagged Goulburn, Harden-Murrumburrah, Video, Young. Bookmark the permalink. I have just watched the old film on facebook. Can recognise a lot of the localities and some of the people. The football match is at Robert’s Park Murrumburrah. I recognised “Digger” Moore, one of the sideline officials and Bill Kinnane, one of the players coming off. 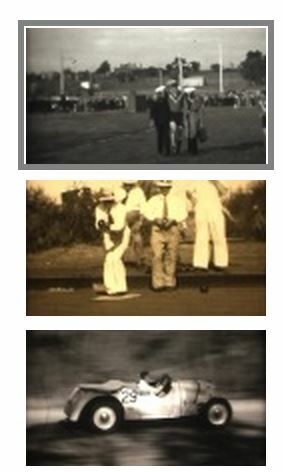 The golf was at the old Murrumburrah Gold Club at the Showground. 9 holes with sand greens. The lady on the farm must have been from Murrumburrah area as later showed her coming out of Murrumburrah Post Office. I am 83 years old and was born in Murrumburrah. Lived and worked there till 1964. Hi My name is Peter Kinnane and I am Bill Kinnane Great great nephew. I would like to know more about him because I am doing my family tree. If you have any more information or anything about Bill Kinnane please let me know. 10.13 is the War Memorial … could the construction be for the Government buildings in Canberra? (sort of looks like photos I’ve seen for Snowy Mountains scheme.